Gas Or Electric Hob : Which Is Best? The demands on your kitchen hob are daily, so it will be beneficial to take time to research whether a gas or electric hob is most suitable for your style of kitchen and cooking. Remember to also consider the longevity of each type. They normally have four or five burners with a manual ignition switch that lights the burner you wish to use. A gas hob must be installed by a professional fitter. Gas hobs have been favoured by professional chefs for many years as they provide instant and easily controllable heat. Also, they have now become more energy efficient than they used to be. The pan supports can be difficult to clean compared to a flat surface hob such as ceramic. The open flame also means they can be more dangerous than an electric hob. Electric hobs come in two main categories; ceramic and induction. Although they provide different cooking styles they have some similar features. They both provide a streamlined glass appearance which also makes them easier to clean. Electric hobs are a good choice if you have children as they have various safety features including hot indicators and locks meaning the hob can only be operated if the correct combination of buttons are pressed. These are a good choice if you are on a limited budget as they are less expensive than induction hobs. However, they are still stylish and come in various sizes and designs to complement your kitchen. Due to their flat surface they are easy to clean and don’t require a specific type of saucepan. They can be slower to heat up than gas or induction and it’s not as easy to control the temperature. The whole surface of the hob heats up, not just where the pan is placed which makes them slightly less energy efficient. These are made in a different way to ceramic hobs. The technology uses a magnetic field between the pan and hob, this means that only the area where the pan is seated heats up enabling the food to cook speedily. Perfect if you’re on a time limit! 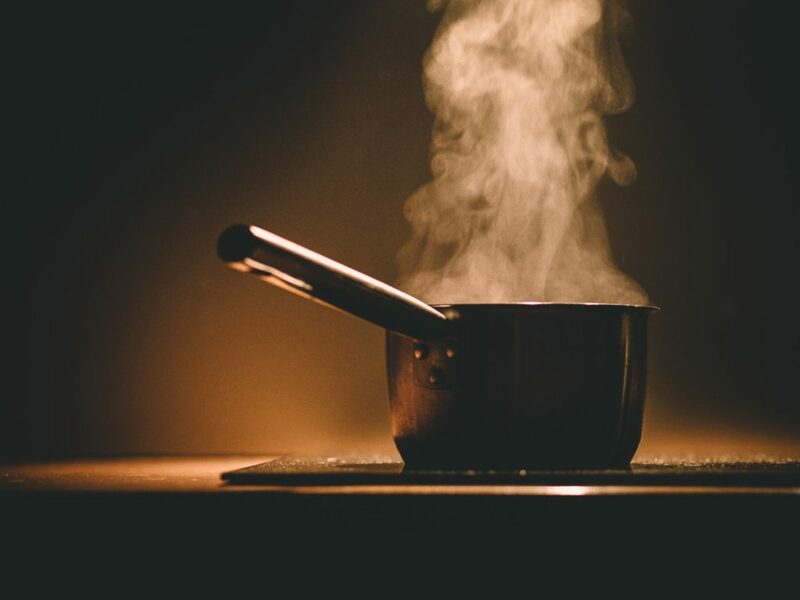 Induction hobs are extremely safe as they only heat up the area where the pan is cooking which reduces the risk of accidents during and after cooking. They are very energy efficient and the temperature controls allow you to increase or decrease the heat by tiny amounts. They are usually more expensive than ceramic or gas and you can only use specific saucepans made from ferrous metals. Still unsure whether to go for a gas or electric hob? Why not install a dual fuelled hob where there is normally a single burner next to a number of induction rings. If you are planning a new year kitchen remodel contact our team at Black Rok for some expert advice.